This is an all-day bring your own tree workshop taught by Bjorn Bjorholm. We are limiting the class size to 6 to allow each person to have as much time with Bjorn Bjorholm as possible. Lunch is included to keep participants onsite. For those that do not have a bonsai tree to bring, we have a huge selection of bonsai trees available to be purchased. These trees range in sizes and prices, but do not worry, we have the perfect tree for you! Bjorn Bjorholm, owner of Bjorvala Bonsai Studio, is a professional bonsai artist based out of Knoxville, TN. After graduating from the University of Tennessee, Bjorn became an apprentice at Fujikawa Kouka-en nursery in Osaka, Japan where he has spent several years working under Master Keiichi Fujikawa. During his apprenticeship, Bjorn’s work was accepted into the Kokufu-ten, Taikan-ten, and Sakufu-ten exhibitions. 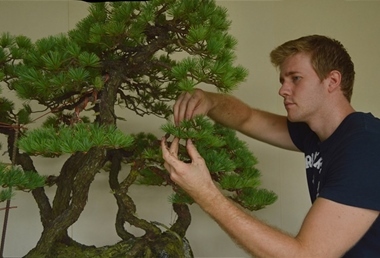 Bjorn currently divides his time teaching bonsai art in the United States and furthering his studies and business in Japan. Bjorn offers excellent advice in a non-judgmental manner and adapts his teaching behavior based on the skill level of the student. 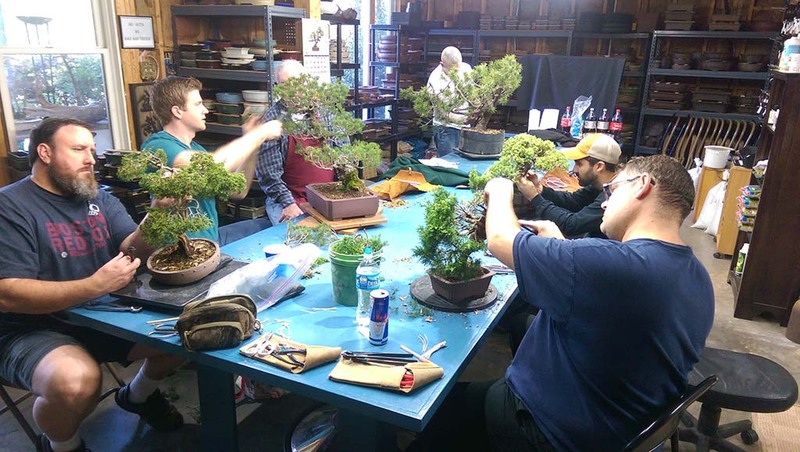 He is an exceptional teacher whose focus is on educating bonsai enthusiasts.